Lifting equipment specialist, First Integrated Solutions, part of the First Tech Group, is featuring a new generation of lifting tool on its stand at this year’s LiftEx exhibition in Aberdeen on stand No. 37. 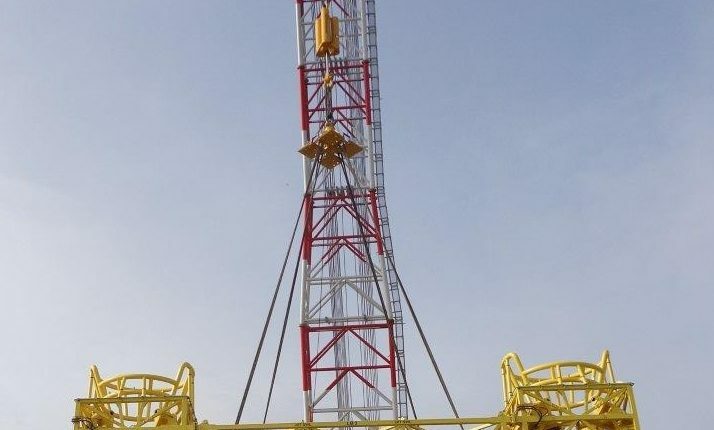 The Ballgrab heavy lift tool developed by First Subsea, also part of the First Tech Group, is designed for ‘under the hook’ lifting applications where ease of remote connection, and the ability to handle heavy loads, are required. Aberdeen based, First Integrated Solutions provides lifting equipment and high quality safety critical rental and maintenance services to the oil and gas and offshore renewables sector. Its equipment is available on a wide range of terms including sale and supply, short or long term rental and fully managed equipment services. The company’s inspection services are available on long term or ad hoc contract, allowing flexible operational support, to suit project specific requirements. The First Subsea Ballgrab heavy lift tool is designed for high load lifting applications, both on the surface and subsea. The connector works on the basic principle of a ball engaged within a taper. As the male connectors balls roll up the tapers, the strength of the grip increases in direct proportion to the load applied. On location, the connector tool is aligned into position and lowered into a tubular receptacle on the equipment being lifted. Once engaged it cannot be released until the load is removed. The connector’s self-activating mechanism allows for rapid deployment. Typical applications include: deployment and recovery of subsea equipment, heavy lift applications 100t – 2500t for both onshore and offshore applications. In addition to bespoke lifting tools, First Subsea offers a range of standard single point lifting tools including: Internal Lift Tool (ILT), Pipeline Recovery Tool (PRT) and Caisson, Conductor and Casing lifting tools. “First Integrated Solutions’ products and services are specifically designed and selected to reduce downtime, increase productivity and improve operational efficiency. The Ballgrab connector is a welcome addition to our range of lifting capabilities,” says Steven Mearns, managing director, First Integrated Solutions. For more information on the range of equipment and services offered by First Integrated Solutions, visit www.firstintegrated.co.uk. For more information on the First Subsea Ballgrab heavy lift tool, visit www.firstsubsea.com.